Human languages are composed of complex systems of communication which include written and spoken words. Language is used to express emotions desires and other aspects that need communicating. Linguistics is the study of all these aspects of language. This includes the structuring history of the language comprehending messages and the changes in the system over a period of time. Linguists are concerned with different questions regarding the nature of the language. They study the common factors of all human languages the difference in languages the reasons children acquire knowledge of language quickly and the cognitive process of language learning. Linguistics is a science which studies the structure of language and how it is related to other areas of study like Psychology. One of the fields of language study is the structure. It includes (1) Phonetics – The study of spoken language and how it differs in different regions. This involves for instance studying the different ways Americans and British speak the same language. (2) Phonology – The way speech sounds are connected to cognition and learning. (3) Morphology – The study of how words are formed. The difference in spelling of American and British English is studied here. You will learn why colour and color have the same meaning but are spelt differently. (4) Syntax and grammar – The way sentences are formed. (5) Semantics – How the word meaning differs. (6) Pragmatics – The study of the use of language. 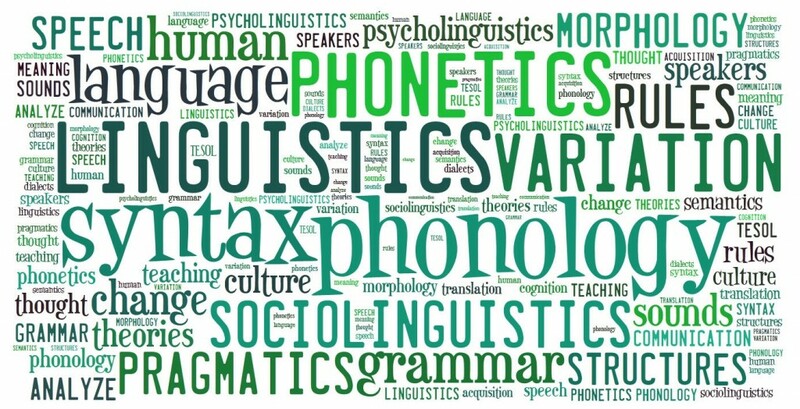 Many other topics are studied under the study of linguistics which is the science of language. At the very centre of study is the unconscious knowledge of language and that includes how children learn language without much assistance. It also includes the interaction part of the language and the variations in different languages. These areas are constantly being researched to be understood and utilised. A child acquires the knowledge of language without much effort. He/She will acquire single words, then make sentences and become a fluent native speaker by the time they reach teenage stage. Seems natural, right, but learning a language is not that easy when you grow up. A blog post at schoolapply. com talks about this. The answer lies in the cognitive process. A child is a blank sheet and hence the cognition process is easy. The structural knowledge also comes from use. While learning a foreign language, a person gains the roadblock of the knowledge of native language. Linguistics is quite a broad field of study with many specialist areas. The people who are in this field have a variety of choices. They can work in academia teaching and also be researching different areas like phonetics and structural study of the language. It also includes applied linguistics where you will study how to make learning a language easier and contribute to language education. Other career choices are working as a language expert for the government copywriting advertisements and various positions that require communicating in a particular language. 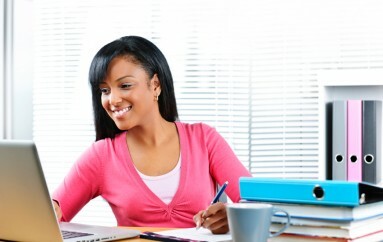 You can also work freelance as a book writer or provide content to various people. The most rewarding fields in linguistics are the interdisciplinary ones. Instead of getting a simple degree in a language it is better to study language in relation to other subjects. The subfield that is booming at the moment is of computational linguistics. It requires studying computers along with language. The experts in this field help with developing new technologies like machine translation and speech recognition software. The computational linguist also acquires knowledge of programming languages algorithms and other tools of information technology. So while choosing linguistics as a career choice focus on these factors. While choosing a career in interdisciplinary fields you will have to study two different subjects. So if you are studying Psycho-linguistics you will have to study Psychology and Linguistics and their relationship. You can also specialise in a particular field and then use language as a tool to progress your career. For example there is always need of people with knowledge of different languages in fields of finance health science and law in order to translate. The interdisciplinary approach increases the number of choices and enhances personal marketability with skills and knowledge added from other fields. Learning a language requires more than acquiring a degree. It requires understanding the culture in which the language has developed. Hence learning a language at the place of its origin is the best way to understand the language. Going to France to learn the french language will help you to immerse yourself in the language and culture. It will also help to achieve fluency in the language in which you are non-native. The cultural exposure when you are studying abroad is also critical to learning a language if you want to become a professional. You can start early with the college education. Studying abroad has other benefits as well. Here are a few to take note of. (1) Seeing the world – The benefit that is on the top of the list is that you get to see the world. You will experience a new country a new culture and new places around. You will not be limited to a particular language of communication and can explore. (2) Experiencing education – Every country has its own style of educating. Australia will have its own style which will be different from the UK. Thus by studying abroad you can experience the different education styles which can help you in an international career later. (3) Learning survival skills – While studying abroad you are in a different culture and in a foreign land surviving on your own. This helps to hone skills that are critical for surviving in the cut-throat competition. These are some of the reasons which make studying abroad worth the risk. 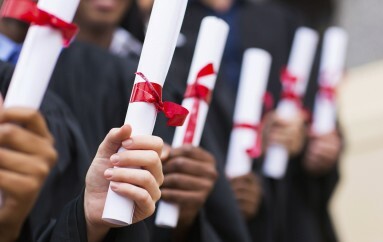 Studying and taking a degree is not what makes you better. It is the acquisition of knowledge that matters the most. When you are doing a linguistics course from abroad you are actually having an experience. This experience will hold on for life. Learning a language will be a great experience with students from different cultures. Learnings from other cultures the friends from different countries and the opportunity to travel away from home will make this experience once in a lifetime. The experience of travelling abroad will always come in handy when you are exploring jobs. People with international exposure always have better chances at interviews. The most cherished moments are always that of college and international study makes it better. 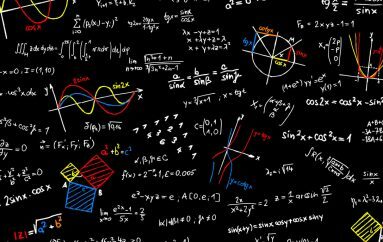 Is It Possible To Ace Calculus With HelpHomework.net?